France’s Yellow Vest protestors are once again making newspaper headlines. But this time it’s about how their movement may be falling apart. For instance, it was reported that their latest demonstration on February 9 attracted 51,400 people, as opposed to nearly 70,000 just two weeks ago. And this, after drawing 282,000 people nationwide during the first weekend of protests in November 2018. As reported by FRANCE 24, the protests – which began in response to the government’s decision to introduce annual increases to diesel and carbon taxes – has since coalesced into a broader opposition against French President Emmanuel Macron’s government, the high cost of living in France and widespread economic uncertainty. However, the movement has been unable to clearly define its demands without a leader. Disparate voices have emerged, making it difficult to understand what, exactly, most Yellow Vest protesters want. 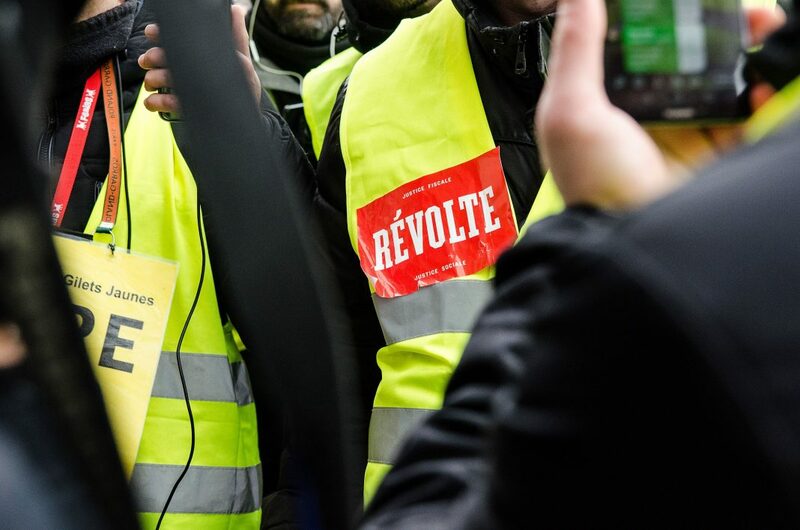 In a four-page open letter posted in January on the “official” Yellow Vest Facebook page co-founded by Priscilla Ludosky and Eric Drouet, members of the movement listed a number of demands, including direct talks with the government, lower taxes and social charges, and the introduction of a citizens’ initiative referendum. French media has reported of several potential Yellow Vest candidates, each with a different platform. The discord has left the movement with little bargaining power. A first meeting in November between Prime Minister Édouard Philippe and a delegation of eight Yellow Vest protesters ended in fiasco, after all but one member of the movement walked out following a disagreement over whether the exchange could be filmed. Another attempt to organise talks in December also collapsed. According to FRANCE 24, the Yellow Vests still enjoy broad public support in France, with 58% of respondents in an Ifop poll published on February 4 saying they had a positive opinion of the movement.